The Ultimate Floor Sanding Company™ is a highly professional organisation, which focuses on giving our customers complete peace of mind – every time! Providing “The Ultimate” customer service is so important to us that we give ALL our floor sanding customers the peace of mind of the Unique 5 Point Ultimate Guarantee. What makes our guarantee The Ultimate? All our recommended floor sanding contractors are Pallmann Parkett Profi certified. What does Parkett Profi Certified Mean? Pallmann is a German manufacturer specialising in high-quality wood floor treatment and maintenance products. Established over 120 years ago they are unsurpassed in product development and innovation and provide unrivalled support and training to their certified contractors. Because all our recommended floor sanding professionals are fully trained and monitored Pallmann Parkett Profi contractors, Pallmann underwrites our work for 2 years. So not only do we use the best quality products, have the most skilled contractors thanks to their Parkett Profi training, we also have The Ultimate Guarantee, for ultimate peace of mind. 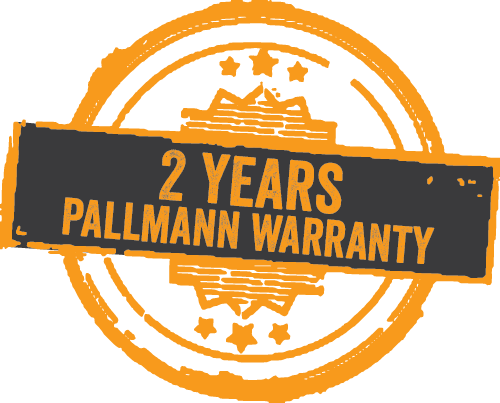 The Ultimate Guarantee only applies when Pallmann products are used. Find out more about the Pallmann Guarantee and Parkett Profi certified contractors on the Pallmann Website.